Winter is tough, but luckily your Nissan is even tougher. The snow, ice and frigid temperatures make driving more challenging and proper maintenance essential. Here are a few ways drivers can prepare for the unpredictable, but remember, the Nissan factory-trained and certified service technicians at Speedcraft Nissan in West Warwick are available to help with any number of issues, including windshield wiper replacement, tire rotation and pressure checks, tires, heating systems, oil changes, transmission services, battery replacement and more. The Speedcraft Nissan service department always uses Original Equipment Manufacturer (OEM) car parts, no matter how big or small the job. 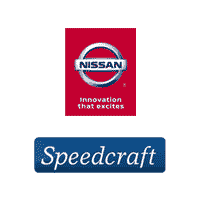 Speedcraft Nissan offers lots of ways to keep your car and wallet happy at the same time. Take a look at these great car service and maintenance coupons. At Speedcraft Nissan, we can make your vehicle even tougher with online savings on accessories to give you extra protection from the winter elements, like splash guards, a hood protector and all-season floor mats. With some preparation and additional protection, you’ll be ready for anything this winter. Here are some guidelines for keeping your Nissan ready for whatever winter can dish out. Bring your Nissan in today and our service specialists can help. Check the antifreeze – Antifreeze and water are normally mixed at a 50/50 ratio. That typically puts your protection level at twenty degrees below zero. Bolster the battery – If water levels are low, add distilled water to cover the lead plates inside your battery. Also make sure battery cables and terminals are clean and tight. Measure the tires – Measure your tire tread and consider replacing your tires if they reach approximately 4/32″ of remaining tread depth, or switch to snow tires. Then check your tire pressure, which can be lowered by cold temperatures. Adjust as needed. Check windshield wipers and fluid – If your wiper blades are more than six months old, replace them for winter. Make sure your wipers are free of frost, frozen rain or snow before turning them on. Use a washer solution that won’t freeze in winter temperatures, and be prepared to top it off often. Change oil regularly – Be sure to stay up to date on oil changes throughout the winter. Protect the paint – Give the exterior a coat of wax because cold, ice, snow and salt can be tough on paint. Wash your Nissan as often as possible during the winter, making sure to clean in the wheel wells and underneath to prevent buildup and damage. Whether your vehicle is due for a routine oil change or needs repair work, you can count on the Speedcraft Nissan service team to get the job done right.